Euro Motors, the exclusive importer and distributor for luxury automotive manufacturer Jaguar Land Rover in the Kingdom of Bahrain, is proud to announce the immense success of the first ever Jaguar Experience Centre Drive Event which was held on Friday, the 25th of May, 2018 at the Bahrain International Circuit (BIC). The newly-opened Centre is the first ever Jaguar Land Rover Experience Centre in the Middle East and North Africa region. The Jaguar Experience Centre Drive Event was a hugely popular affair as a full capacity crowd thronged to enjoy the most thrilling event of the weekend as they were caught up in the whirlwind of the truly spectacular experience that is provided by Jaguar as the breathtaking aesthetics, unparalleled performance and exceptional handling of the Jaguar F-TYPE was on full display, giving all those who partook in the drives the time of their lives. 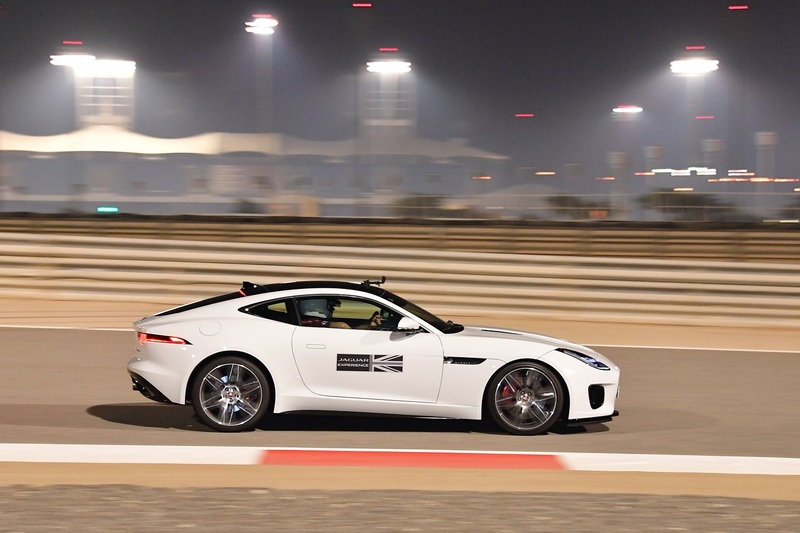 Guests who had registered for the drive were taught the Art of Performance by putting the spectacular Jaguar F-TYPE through its paces on the state-of-the-art Formula One Track at the Jaguar Experience Centre, the only Experience Centre exclusive to dynamic sports cars in the Kingdom. The innovative Experience Centre will enable Jaguar enthusiasts from Bahrain, as well as wider Middle East consumers, to experience a fast-paced and exhilarating adventure. Offering unique and tailored drive experiences through two vehicles of one of its most popular model, the Jaguar F-TYPE, the Jaguar Experience will be operational during BIC open track days and retail experience days, with the new season starting in September 2018. “This was not the first time we have witnessed success on such a massive scale as our previous collaborations with BIC have yielded similar fruit and we look forward to working with them again in the foreseeable future. Rather than being complacent in the success of the event, we look forward to continue working towards consolidating our status as leaders in the automotive industry in the Kingdom of Bahrain both with our awe-inspiring collection of vehicles on offer and our constant strides towards personalizing the exclusive brand, Jaguar and, through our interactive and highly popular events. We are glad that all the participants had a fantastic time as evidenced by their overwhelmingly positive reviews and we invite the rest of the public to have a go at this undeniably transcendent experience,” he added. The Jaguar Experience team consists of dedicated staff providing unrivalled certified Jaguar instructor experiences on the BIC Grand Prix track. The Centre has been designed to ensure that guests are given a dynamic, hands-on and, prominently, memorable experience. To complement the drive experience, the Centre will have a dedicated lounge acting as the central hub of operations showcasing a diverse range of stunning branded goods that will be for sale, giving guests the perfect opportunity to purchase enduring souvenirs of their visit. Powerful, agile and utterly distinctive, the Jaguar F-TYPE is a true sports car that offers specifications only a Jaguar can provide; effortless performance and precise agile handling, with everyday refinement and usability. Designed to deliver pure driving pleasure, the F‑TYPE’s technical excellence offers exhilarating performance, state-of-the-art handling and an unrivalled driver-focused experience.